Fitness trackers are a dime a dozen but Happic comes with a couple of twists. The band which features an OLED display and tracks steps, activity and sleep, also comes with a clever system of vibration motors and gesture control capabilities. Made in Sense, the company behind it, only had prototypes of the smart band to show off at IFA 2015 but there's plenty of potential for the technologies involved. The team describe Happic as one-upping the likes of Apple and LG by offering a patented system of three vibration motors around the wrist - two in the module that houses the display on top of your wrist and one underneath on your inner wrist. This means that as well as changing the strength and number of vibrations you get if a friend calls, you can also allocate contacts individual spots on your wrist. It's also handy for navigation - so for instance, to turn a corner when cycling the vibration pattern will move from the left motor to the right to indicate which way to turn, screen free. Made in Sense describe the feeling of its wraparound haptic engine as "akin to 360 degree surround sound" and say it provides a much richer experience. The second of Happic's tricks is that it can be used to control your smart home via gestures. The band's accelerometer picks up on gestures such as raising your wrist to take a selfie with your smartphone. The design of the device itself is fairly standard stuff - it's the work of design consultants Therefore who have worked with TomTom in the past. As for the rest of the specs, it's iOS and Android compatible, has interchangeable straps with charcoal and stone available at launch and the battery life is up to seven days. It will charge via a USB connector at one end of the strap. "We think the right thing to do is launch our own product first but we see this as a platform, not just a device. Once Happic is launched, then we would think about working with other manufacturers," Gilad Reshef, managing director of the Hong Kong based startup, told Wareable. Haptics is a hot area for wearable tech with companies like Wearable Electronics integrating it into jackets for precisely the same reason as Happic - to help people visit new cities and be able to look up. It will be interesting to see if any big wearable tech names snap up Made in Sense's wraparound haptic tech. 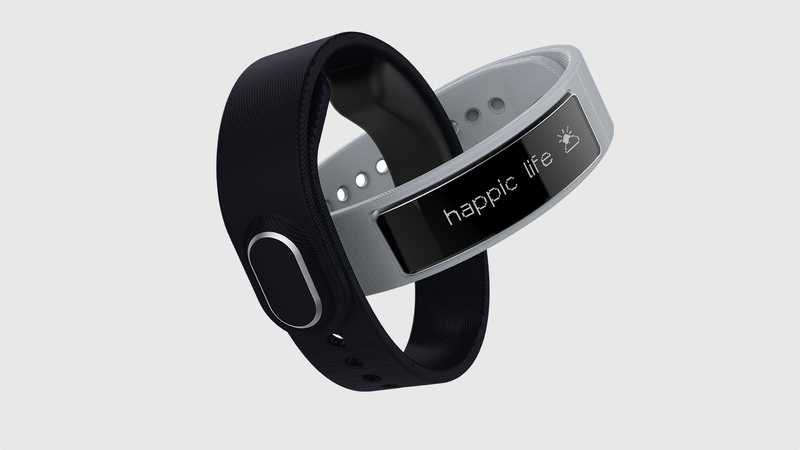 The smart band is up for pre-order now from the Happic website for what appears to be an early bird price of $139, rising to $229. Shipping is set for February 2016.